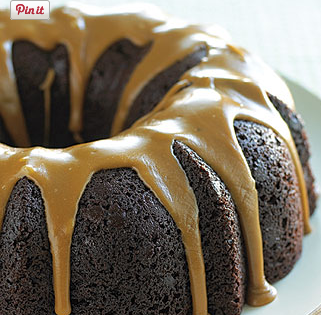 "Dr. Pepper Chocolate Bundt Cake" you'll get a toothache just looking at. What a delicious treat! 1/4 cup cold Dr. Pepper to make a a thin glaze. Mix Dr. Pepper, oil and pudding together with a mixer until creamy and fluffy. Add eggs in one at a time until well mixed. Beat for 3-4 minutes; scrape down the sides of the bowl. Add walnuts mix for 1 minute at low speed. Pour batter into a well-greased, jumbo fluted bundt pan. Bake at 325°F for 1 to 1¼ hours; let cake stand in the pan for about 10 minutes. Turn cake over onto a plate or platter; let cool slightly and drizzle with glaze. Drizzle over cake when cake is slightly cooled. How to Make a Flaming Doctor Pepper. 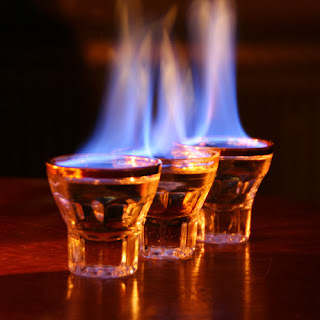 It is a flaming cocktail said to taste like the soft drink Dr Pepper, although Dr Pepper is not one of its ingredients this recipe is easy and delicious. Fill a shot glass about 3/4 full with amaretto and top it off with enough 151 proof rum to be able to burn. Place the shot glass in another glass and fill the outer glass with beer (right up to the level of the shot glass). Ignite the amaretto/151 and let it burn for a while. Blow it out (or leave it burning if you're brave - not recommended) and slam it. Tastes just like Dr. Pepper.